Are you interested in finding a used car dealer near Sherwood, OR, that can provide you with a comprehensive automotive experience from start to finish? We here at Wilsonville CDJR want you to know we’re fully equipped to do just that. Take a look at the following rundown of our services to become more familiar with what we have to offer. 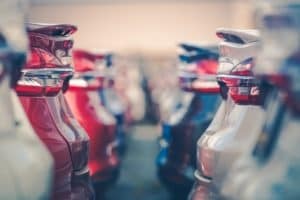 One thing you’re sure to notice when you pull in to the lot here at our used car dealership near Sherwood, OR, is the broad scope of options at your disposal. We make sure we’re fully stocked with a wide variety of vehicles to satisfy several sensibilities and lifestyles. Whether your priorities point you in the direction of a durable pickup truck, an accommodating minivan, or a versatile SUV, we can help you find it. Over in the finance offices, our knowledgeable specialists are prepared to supply you with all the support you need to find the loan with the rate plan that works best within your specific budget. To make that happen, they’ll take the time to sit down with you and discuss your individual financial situation. Taking note of this information, they will present you with a series of options that makes the most sense. Additionally, they’ll explain each one to aid you in making a well-informed decision. 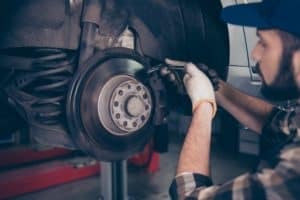 When you bring your vehicle into the service center, you can be confident that it will be getting the undivided attention of our automotive technicians. These experts are factory-trained and certified and work hard to ensure you get back on the road as soon as possible. They make use of the latest technology to get precise results every time. As an additional convenience, we provide you with the option of scheduling your next service appointment online. Situated in the southeast part of Washington County and southwest of Portland, the city of Sherwood has an estimated population of 18,978. There is certainly no shortage of interesting things to do in the area. For example, there are plenty of wineries and vineyards for wine lovers to take advantage of. These include Ponzi Vineyards, Hawks View Winery, Blakeslee Vineyard Estate, Alloro Vineyard, and Rallison Cellars. There are also several fun places for the kids to enjoy like Safari Sam’s, Sherwood Ice Arena, and Big Al’s for bowling night. While you’re taking advantage of everything that Sherwood has to offer its residents, stop by to find out how we can help you improve the ride. With such benefits as our extensive used car inventory, supportive finance personnel, and expert service center, our team is ready to begin a long and fruitful relationship with you. 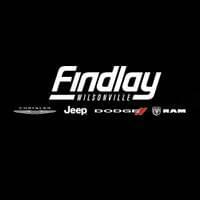 Contact Wilsonville CDJR serving Sherwood, OR, to set up your test drive to get things started.